Italy has over 5000 km of coastline; east coast less endowed by tourist attractions, therefore less popular for cruising and the west coast with many natural resorts and attractions. Tyrrhenian sea is the most popular area with many cruising spots and groups of islands with attractive harbours. It is both geographically and architecturally interesting for visitors from all over the world. Sardinia abounds in attractive places and picturesque anchorages, while close to the Straits of Messina one can either anchor in the shadow of Stromboli or within sight of Mount Etna. Yachting facilities in Italy are of a very high standard due to a large resident boating population and considerable boat-building industry. Many have discovered the beauty of sailing in Italy and to match all the needs of visitors, Italians have built marinas along the riviera providing all the facilities. Many have visited Italy and its beautiful inland cities with numerous historical and architectural sites. Rome, Milan, Genoa, Torino, Naples...are popular all over the world, offering magnificent monuments, sites, entertainment, shopping places etc. For those who want to escape the urban life and busyness, this magnificent land offers so many possibilities. Italy has much to offer besides these places, famous in the whole world. Spending vacation does not necessarily mean only walking through the narrow streets of the old cities, taking photographs in front of famous archeological sites, visiting museums, bars and night clubs etc. 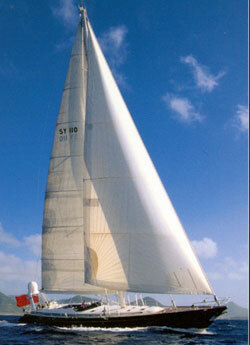 However, sailing is still to be discovered by many people as unique and attractive way of spending their vacations. Italy is rich and modern country which has developed nautical tourism into the most popular and attractive tourist branch, improving constantly all the services and developing modern and well equipped marinas, to be able to provide an impeccable service to all the visitors. LIGURIA with mild climate, pleasant landscape and holiday resorts; Bordighera, Sanremo, Alassio, Finale Ligure, Nervi, Portofino, Santa Margherita and Rapallo. In spite of the development of tourism, the authenticity of this region is still preserved in small seaside villages and rare coves, fascinating inland area. We must not forget the Tuscan archipelago: the island of Elba with a jagged coastline, mild climate and many toruist facilities, then island Giglio and Capraia. SICILY with a variety of marine environments, beaches, cliffs, famous resorts of Pozzallo, Donnalucata, Camarina, Gela, Agrigento, fishing town Mazara del Vallo, Marsala famous for its wine, Gulf of Castellammare and many others. Its unspoiled nature attracts many tourists seeking a place far from a stress of everyday life. SARDINIA with its magnificent coastline of sandy beaches, hidden coves and sparkling sea with the most interesting sights and places such as S. Teresa di Gallura, La Maddalena, Caprera islands, Cala Liberotto, Marina di Orosei, S. Maria Navarrese...many towns with artistic features. VENETO a region of great attractions, beautiful environment and art. Splendid towns as examples of artistic merit, seaside resorts such as Bibione, Caorle, Lido di Venezia, Sottomarina and Albarella. Since Italy has become one of the most popular sailing destinations in the world, the first thing to do would be to choose the starting base. We suggest you read more about Italy and its regions in order to make your proper choice. Western coast would surely be of greater interest for boaters, for it abounds in tourist resorts and ports all along the coast, each with lavishly equipped marina offering all the necessary services. Yachting facilities in Italy are of a very high standard due to a large resident boating population and considerable boat-building industry. Many have discovered the beauty of sailing in Italy and to match all the needs of visitors, Italians have built marinas along the Riviera providing all the facilities; berths, parking places, shops, restaurants, bars etc. Once you make final decision on your starting base, the next step would be to choose a boat according to your needs. In case you don't feel certain about your choice, ask for some suggestions from your charter company which will give you some advice on boats in order to find a perfect one that would match your requirements. Payment conditions will be provided by your charter company. Elba Cavo - is a small port offering a safe anchorage protected from all the winds, apart from those blowing from the east. Rio Marina - this port is exposed to strong waves and winds from the north and the east. Porto Azzurro – offers anchorages both in marina and in shipyard, well protected from the winds, except from those blowing from the coast. Marina di Campo – is the only port in the south that is protected from the winds blowing from the north and the west, except from those blowing from the south-east. Maddalena Monti di Rena – is exposed to strong winds, forming the sandy dunes. Giglio is exposed to winds blowing from the north towards the south-east. It's possible to find a safe anchorage in the bay of Canelle, protected from the winds blowing from the north and the west. However, it is exposed to winds Scirocco and Levante. Campese, on the other hand, is protected from the eastern winds. Ponza Cala Inferno – is well protected from the south-west and the north-west winds. Palmarola is an island with many beautiful anchorages, however pay attention to dangers along its coast. Ventotene Cala Parata Grande – protected from the eastern winds. It is the great shelter from the south-west wind, though the anchorage is not permitted in this zone. Lipari is an island with three ports and anchorages, all well protected. Porto di Pignataro – offers a great shelter. Porto di Sottomonastero is exposed to eastern winds. Salina Renella is exposed to southern winds. Stromboli does not offer any safe shelter in case of strong winds. One can find anchorages in Ficogrande and Ginostra. Vulcano offers anchorages in Ponente in case of eastern winds. 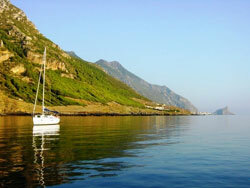 Filicudi is an island which does not offer any safe anchorage along the south-west coast. Its east coast is protected from the south-western winds.